As the 35th Space Symposium continues this week in Colorado Springs, there is plenty of buzz surrounding America’s newest spaceport, Colorado Air and Space Port. 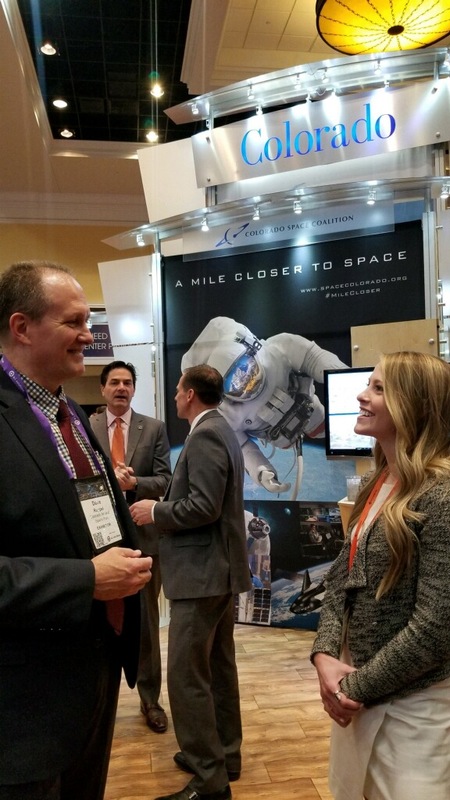 Director Dave Ruppel is meeting with industry leaders and aerospace experts at the exhibit hall this week following an on-site discussion and tour of operations at Mojave Air and Space Port last week. Ruppel was joined by Commissioner Steve O’Dorisio, County Manager Raymond Gonzales, and other staff members during meetings with Mojave’s CEO Karina Drees. “As we continue our progress at Colorado Air and Space Port, it was great to learn more about operations and where our facility might fit into the landscape of aerospace from the Mojave staff,” said Ruppel. Mojave Air and Space Port was America’s first inland spaceport. While those meetings were taking place in California, Reaction Engines Ltd announced a significant breakthrough as they continue engine testing at Colorado Air and Space Port. “The Sabre air-breathing rocket engine is designed to drive space planes to orbit and take airliners around the world in just a few hours. This remarkable milestone for Reaction Engines comes less than nine months after Colorado Air and Space Port (CASP) received a Site Operator’s License from the Federal Aviation Administration. The staff at CASP and Adams County Government continue to advance their understanding of the industry and aerospace opportunities. 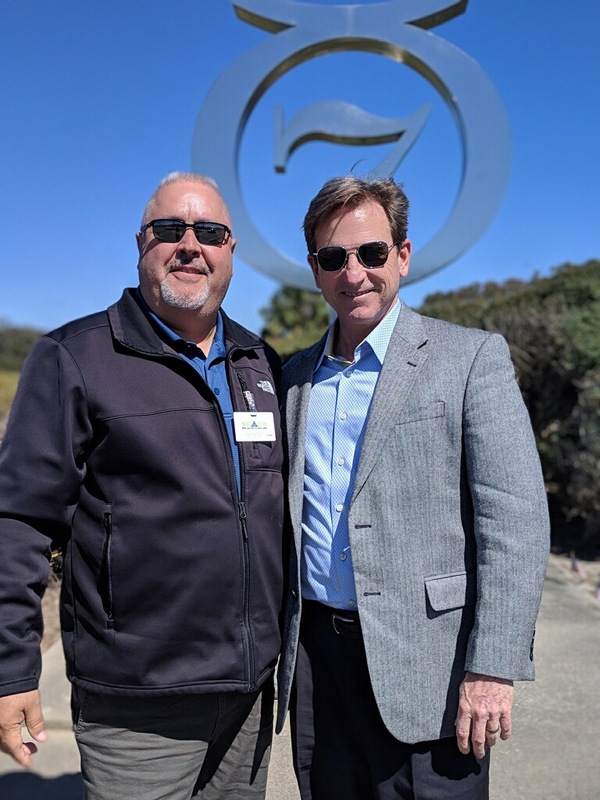 In addition to the tour and meetings in Mojave, Commissioner Chaz Tedesco spent a day during a personal vacation learning more about operations at Spaceport Florida. Commissioner Tedesco met with Dale Ketchum, VP of External Affairs during the trip. 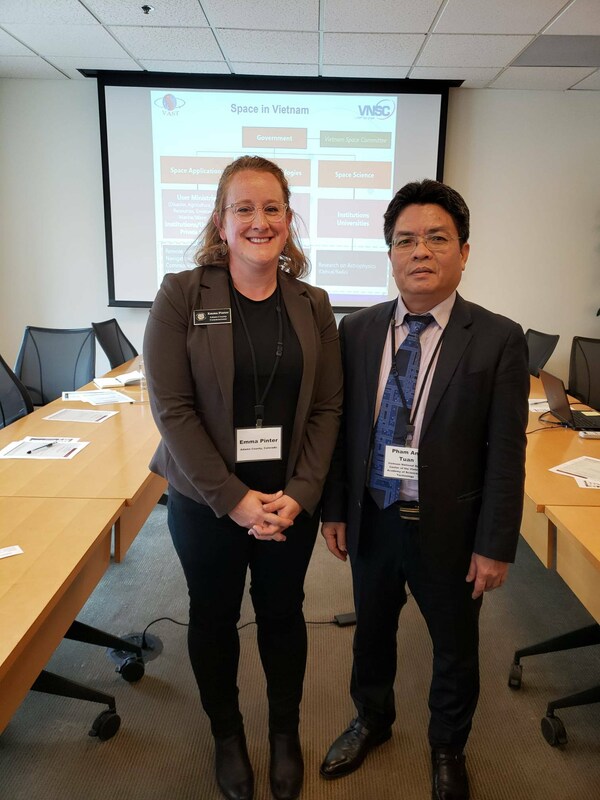 Commissioner Emma Pinter met with members of the Vietnam Academy of Science and Technology and the Director General of the Vietnam National Space Center on April 5. Commissioner Pinter also discussed innovation in aerospace during a personal vacation, touring NASA’s Jet Propulsion Laboratory at California Institute of Technology. When you couple the remarkable accomplishment by Reaction Engines with Virgin Galactic’s plans to take space tourists to suborbital space later this year, the pace of innovation is moving quickly across the industry. With potential operators located around the globe, a team from Colorado Air and Space Port will be joined by county staff, aerospace experts, and economic development professionals on an upcoming international economic development trip. The exciting developments related to engines, space vehicles, rockets, sub-orbital flight, and the potential for point-to-point travel are all being discussed at this week’s Space Symposium. With the established aerospace infrastructure in Colorado, CASP is positioned as a potential destination for research and development opportunities like Reaction Engines and aerospace operators.